Hop a ferry ride to the Sunshine Coast and everything moves at the speed of a TV show of yesteryear. 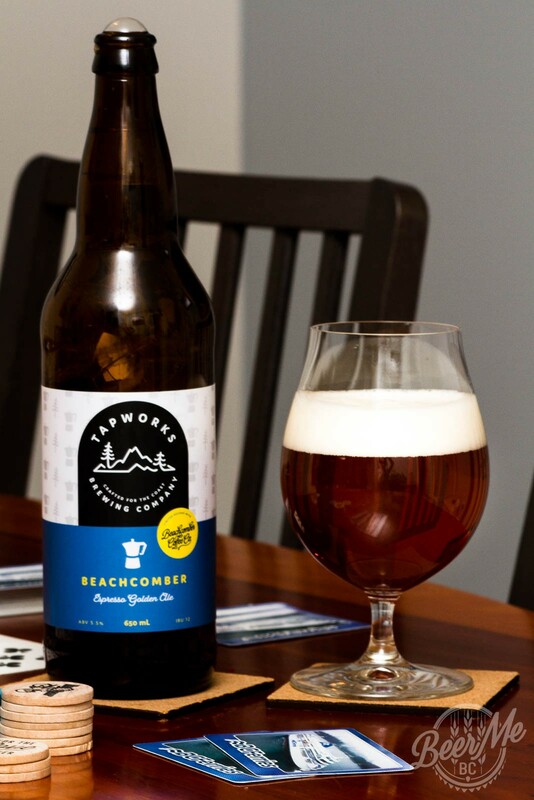 Down the road from Persephone and before you make it to Molly’s Reach you’ll find Gibsons Tapworks, home of the Beachcomber Espresso Golden Ale. 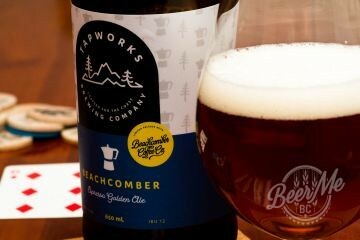 Named after the Beachcomber Coffee Co. This brew takes a lighter approach to coffee infused beer. The beer pours a clear-amber colour – a touch darker than your typical golden ale. The nose is strong with coffee character but not so intense as to block everything else out. A mellow malt sweetness too comes through in the aroma balancing the aromatic and slightly bitter coffee tones. The flavour is coffee up front but that mellows leaving a light bodied, fairly simple golden ale to emerge. The mellow character of the base beer allows the coffee to shine without being overly intense. The star here is the coffee with just enough beer to present the main course. A mellow, light bodied golden ale that allows the coffee flavours to shine.